Actually, I laughed a bit about this because its an app on my phone, so idk how it was hard to miss. Readers, if there are any, I’m deeply sorry for my absence from this blog. I’ve been focusing on my college load, work and other things, but I always have time to be productive in my cosplay. I’m trying to enhance my prop and sewing skills, so I think this is a good combination of the two! 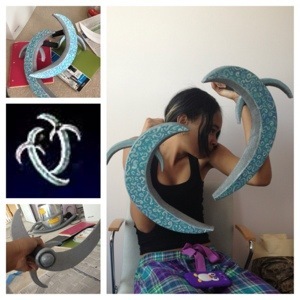 As a preview, here’s a pic of Talim’s finished Double Crescent Blade…because that’s her best weapon, imo. Okay! 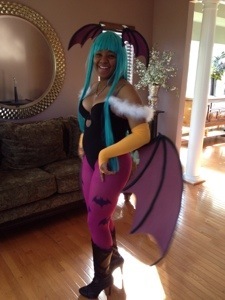 So Otakon is finally here and, as planned, I did have my cosplay ready. 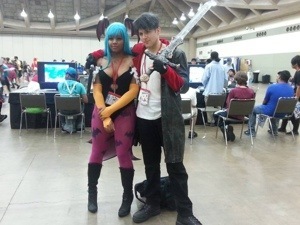 I saw a ton of other cool cosplayers and took a bunch of pictures too! (I’ll upload those later). 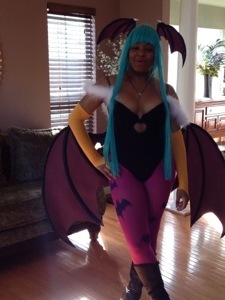 So today instead of posting progress of my Morrigan cosplay, I have something else to share. I’ve already started working on my next cosplay. It will be Syndra from lol. 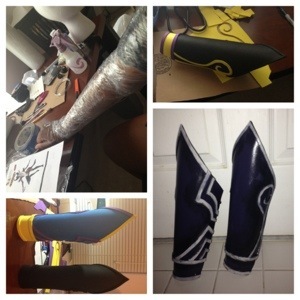 Today I had a day off from work and had 8 hours worth of energy that I spent making bracers for my arms. This was actually my first time trying to make armor, so I’m actually pleased with how it turned out. Hello everyone, long time no talk! 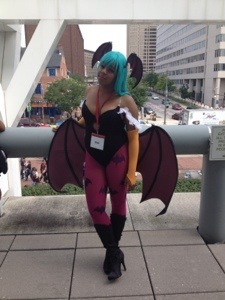 So, Otakon is fastly approaching and in super excited and super nervous! I’ve made tons of progress on my first cosplay ever and I wanted to give you guys an update since the last time I’ve posted. I’m a really big dork, so please excuse the obvious laughing. lol. I had a goofy smile in every single picture, but this was my favorite one. 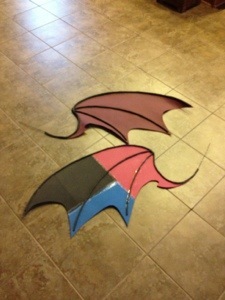 Once again, I’m feeling the effects of the delayed progress of this Cosplay due to being on campus. 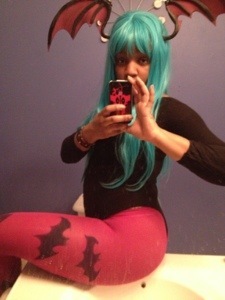 However, I did finally reorder a different leotard that I’m going to alter for the bodysuit. So, I’ll give you guys another photo. I’m sure you’ve noticed that I’ve been inactive for a few weeks. Just wanted to let you guys know I’m not dead. My winter break ended, so I recently started back up classes for the Spring semester. A.k.a progress has slowed. Therefore, to make up for my inactivity, here’s a post of my latest update!